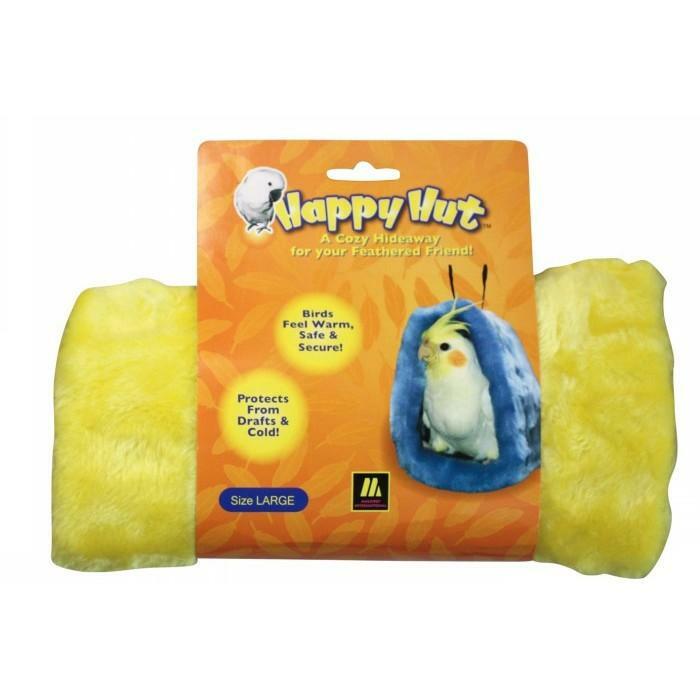 HAPPY HUT Large Yellow - 310_BIRD PRODUCTS, Houses, Huts & Nests, Happy Huts - Multipet - Product Detail - Prestige Pet Products Pty. Ltd.
A cosy hideaway that makes birds feel warm, safe and secure. Select the size and colour that suits best!